We're fondly looking back on the memories that we've made this year, and looking forward to soon-to-be-made memories in the new year! 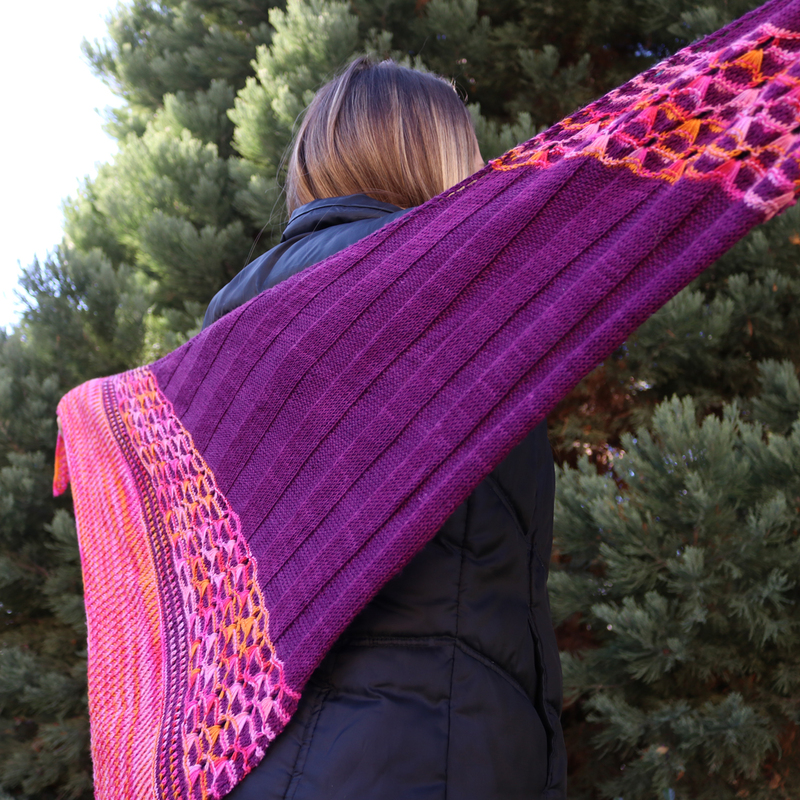 Helping us to celebrate the last few weeks of the year is our Forget Me Not Shawl kit! Each kit comes with 2 skeins of Lorna's Laces Shepherd Sock and Rosie Melligans, designed by Kirsten Kapur, a beautiful shawl pattern that features a unique stitch pattern, combining brioche stitch and a bold rib, perfectly showcasing these gorgeous, variegated Lorna's Laces colorways! Kirsten Kapur designed Rosie Melligans with a special cause in mind - Alzheimer's research. Close to her heart, and ours, $5 from every kit sold will be donated to the Fisher Center for Alzheimer's Research. 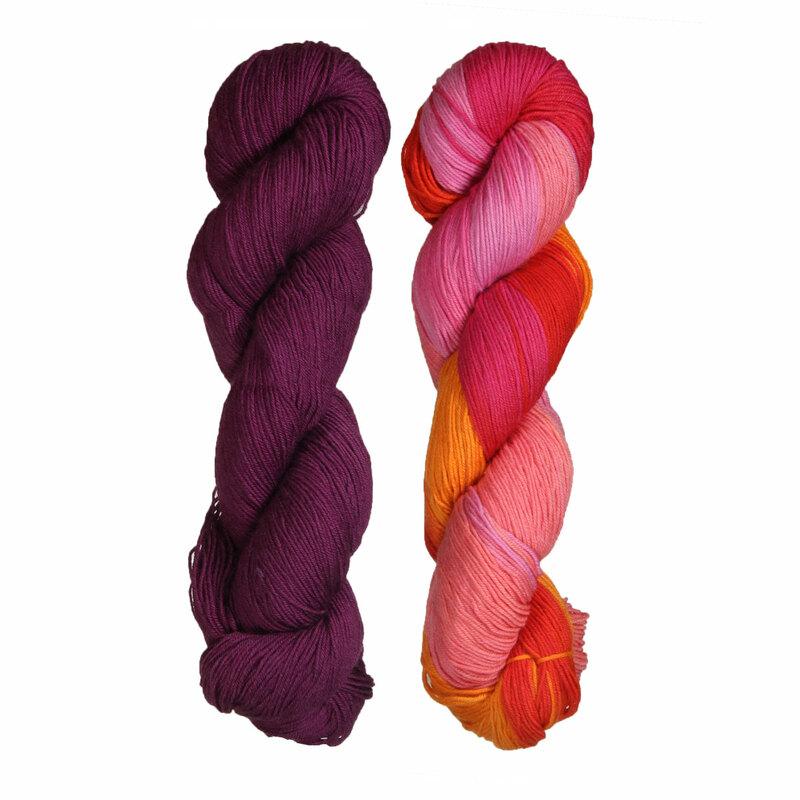 Each kit includes 2 skeins of Lorna's Laces Shepherd Sock: 1 skein of Berry Picking and 1 skein of Blowing Bubbles. Additionally, each kit also comes with Rosie Melligans, a shawl pattern designed by Kirsten Kapur. $5 from each sold kit will be donated to the Fisher Center for Alzheimer's Research. 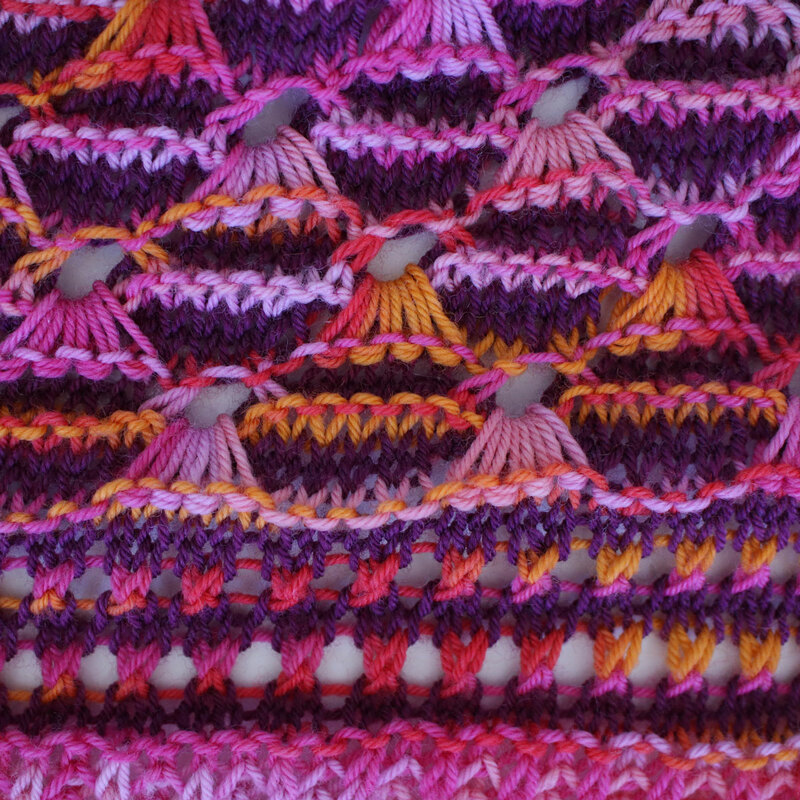 Lorna's Laces The Shawl of Ice and Fire MKAL Kits is a similar kit: intermediate difficulty. You may also like Zombie Yarns Black Mirror Banderzombie Kits, which is another similar kit: kit.